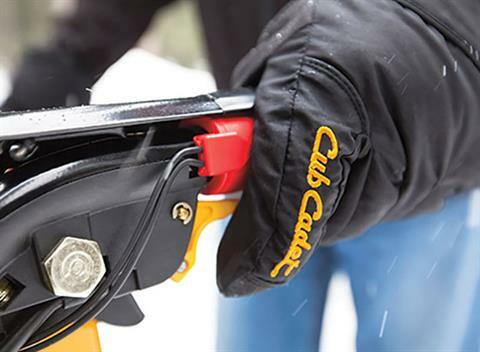 Tackle winter weather on any surface with two-stage power. 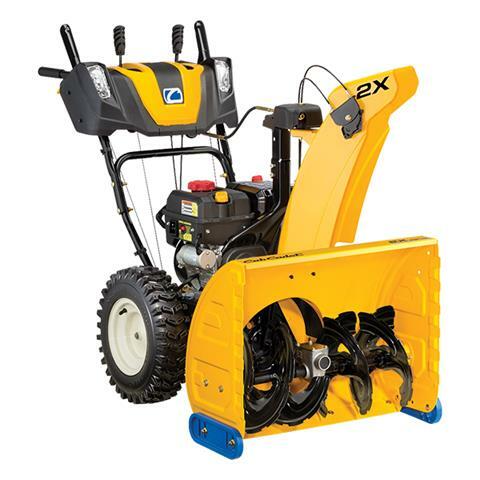 The 2X snow thrower is ideal for taking on 12 inches of snow, offering the power, performance and features needed to clear a path and move on to winter fun. Experience the easy-to-handle 2X with a full range of clearing width options —including one perfect for your needs. TRIGGER-CONTROL POWER STEERING: With just one finger, you can engage the power steering on the 2X models, giving you unmatched control, effortless maneuverability and single-hand operation (524 WE excluded). 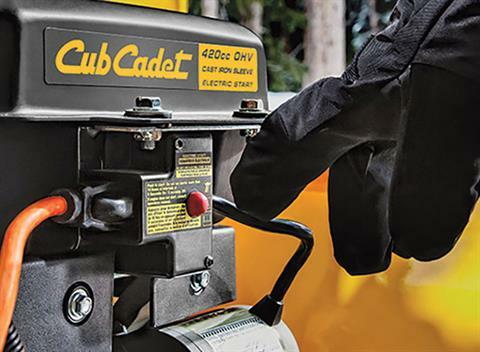 PUSH-BUTTON ELECTRIC START: A large, powerful 4-cycle Cub Cadet OHV engine gives you more power on our two-stage snow throwers. And it all starts with a simple push of a button. Just plug into a standard 110V wall outlet, press the start button and you're ready to go. 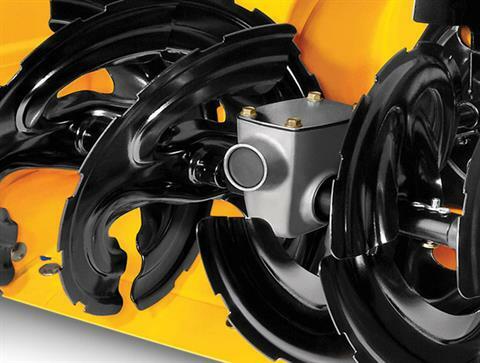 HEAVY-DUTY GEAR BOX: 2X models feature a cast-aluminum auger gear box for maximum durability. This heavy-duty build protects the auger gears, ensuring the two-stage system will hold up against extreme conditions, winter after winter. 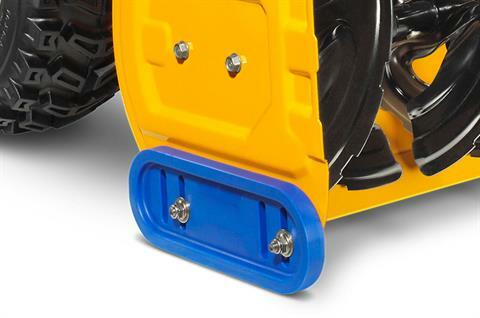 COOL BLUE™ SKID SHOES: Make handling and maneuvering easy by gliding over surfaces. Won't rust or damage driveways, sidewalks, or garage floors. 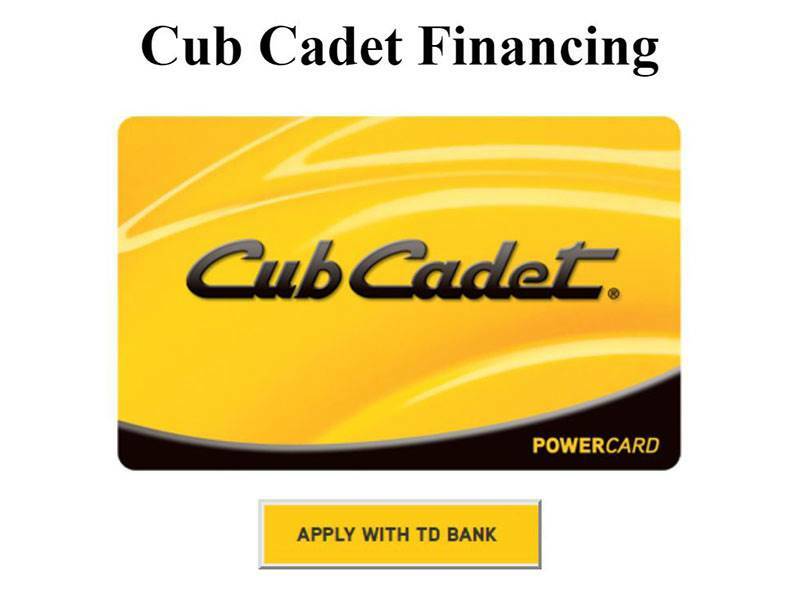 INCLUDES: Dual LED headlights offer superior illumination regardless of chute location. Size - 15 x 5 in.